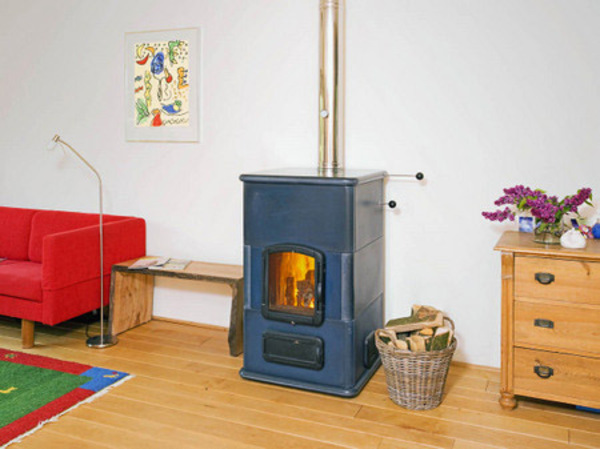 The Tigchel heater is a "stackable" version of the Finoven. Produced as a modular stacking system. From a construction viewpoint, this is a very simple Finoven. 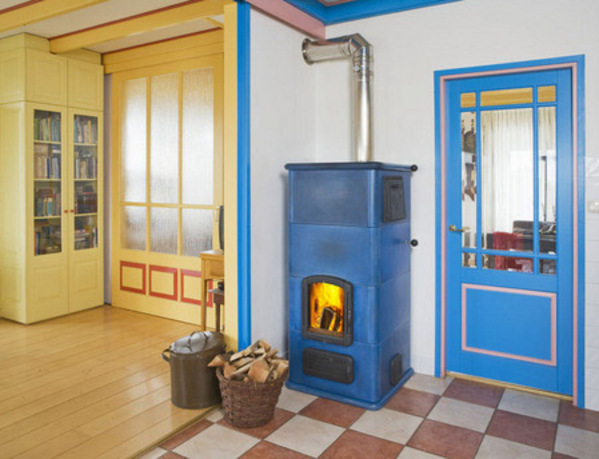 In the Far North, where Scandinavian insulation standards are common, this model of woodburners is often the preferred option because of its excellent heat control. 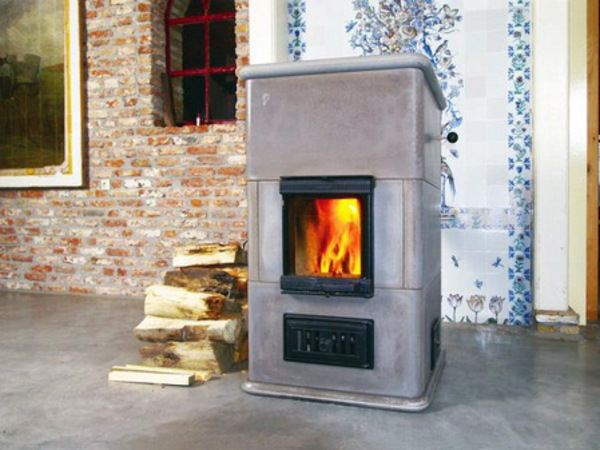 Tigchel heater 4D Bronze. With heat exchanger. 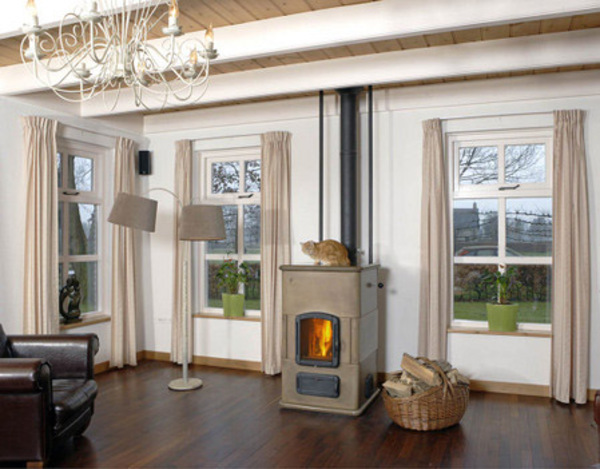 Also in our more moderate climate the Tigchel heater can offer many advantages compared with standard woodburners, such as: strongly tempered heat output (no more overheating), very economical in consuming wood, and therefore very easy to use. 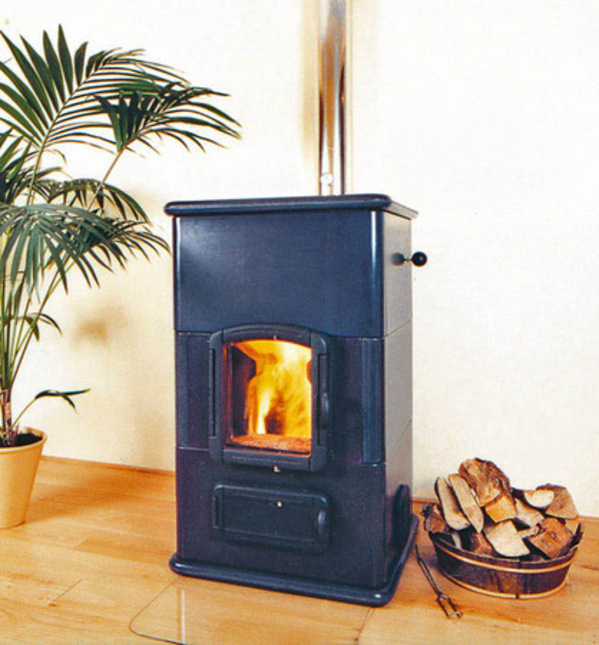 The Tigchel heater gives heat all day long on only one supply of wood (two supplies on cold days in winter). 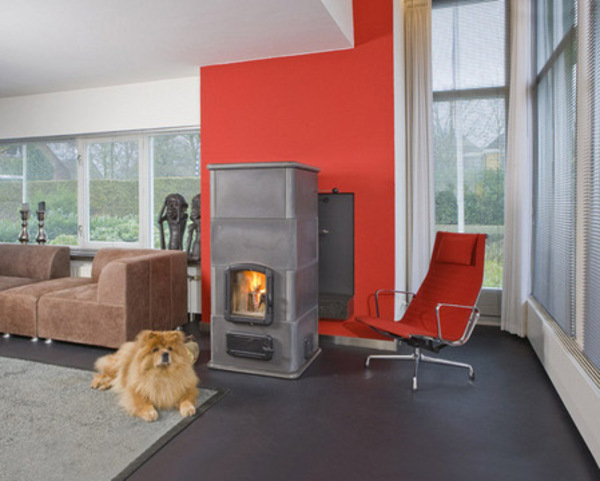 It gives much radiant heat thanks to the excellent properties of the materials (almost no air circulation, like when using a central heating system), which feels much more comfortable. 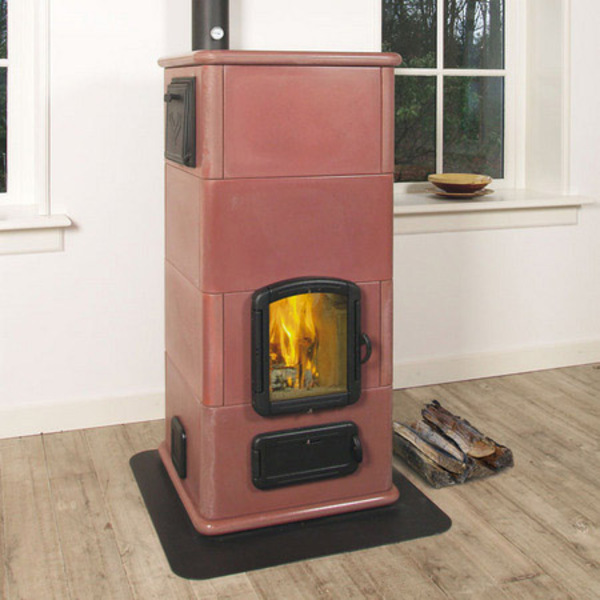 Particularly this even, moderate heat output better suits our mild winters, and the effective use is much easier than in the case of fast-release heat output from other woodburners. 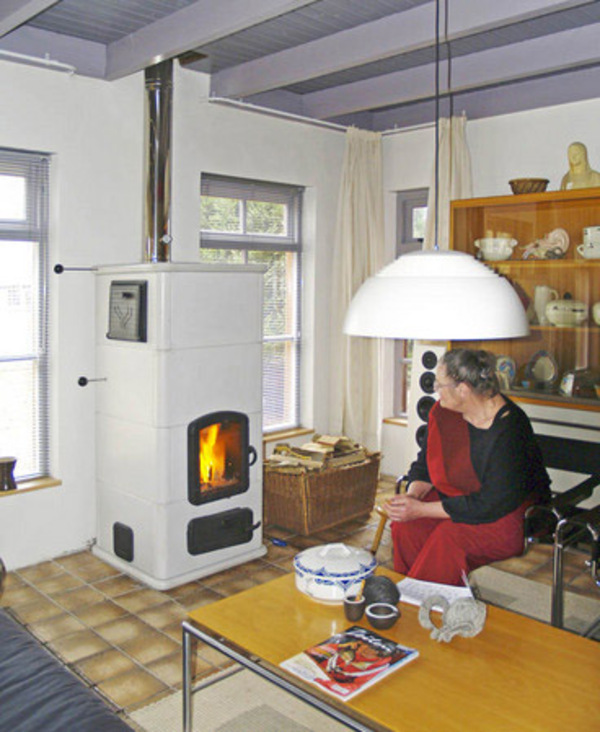 It is the ideal heater for low-energy homes. 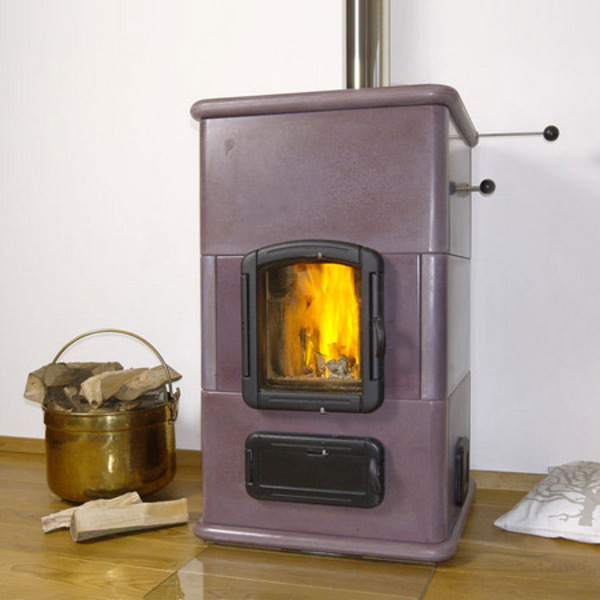 Using only one or two trailer loads of firewood a year, these heaters can be made CO2-free for heating purposes. 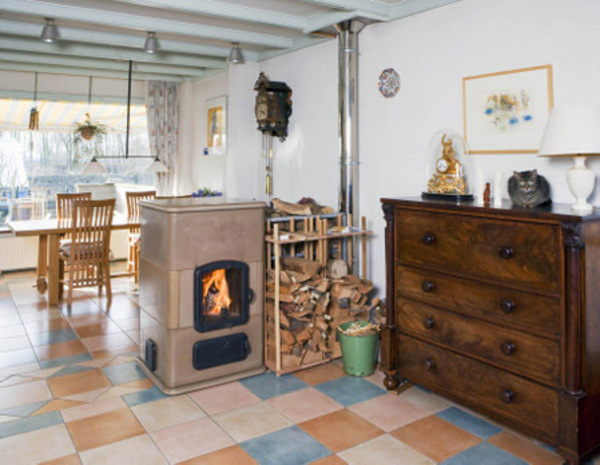 Therefore, newly built homes can quickly and easily obtain a very low EPC (Energy Performance Coefficient) using only one or two trailer loads of firewood. 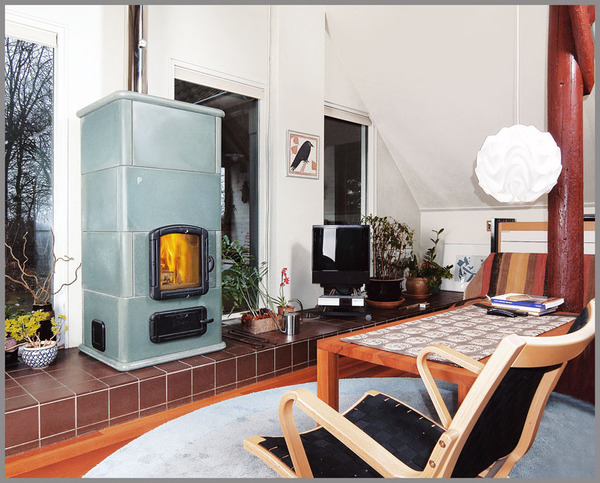 Read The furnace page to check whether a Tigchel heater or Finoven can also be used as the main source for heating in your home.